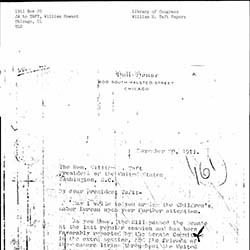 Norton informs Addams to affairs going on in the office concerning the play, Trojan Women, including an issue involving a child actor. 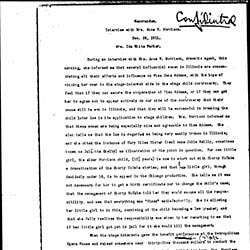 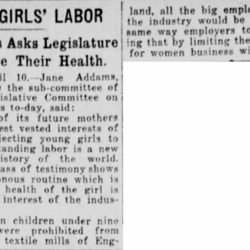 Quotes from Addams' testimony before the Illinois Legislative Committee on Industrial Affairs on the health effects of child labor. 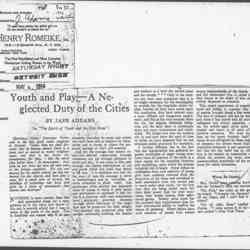 Addams argues that there needs to be more recreation for boys to keep them away from vice. 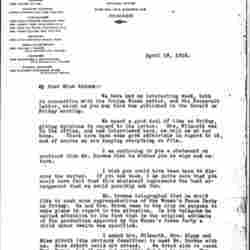 Graves informs Addams that Rosenwald will be donating $500 to the National Child Labor Committee. 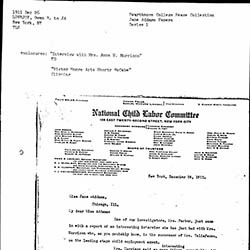 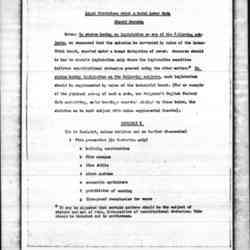 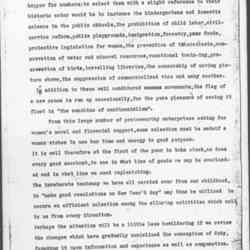 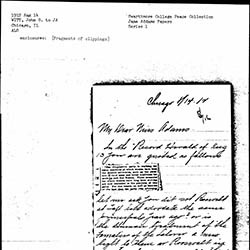 Addams wrote Rosenwald requesting him to donate additional funds to the National Child Labor Committee but Graves would like additional financial information on the Committee before he recommends that Rosenwald make a larger donation. 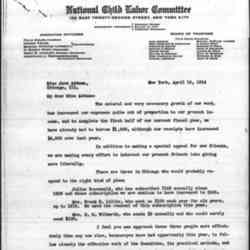 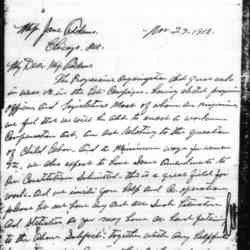 Lovejoy writes Addams to have her help collect more money from friends in Chicago for the National Child Labor Committee. 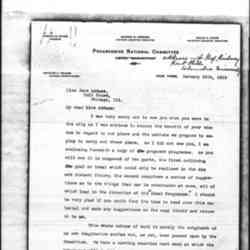 Addams informs Woods that she has forwarded his question in regards to children in the theater to Mr. Lovejoy. 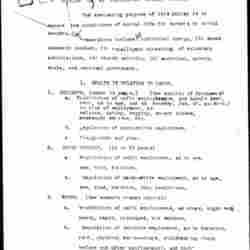 She also implies that though children should not perform if exploited by managers for profit, it is allowable if it is done with education in mind. 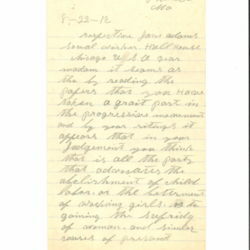 The Commission identifies problems regarding the labor of women and children and recommends solutions. 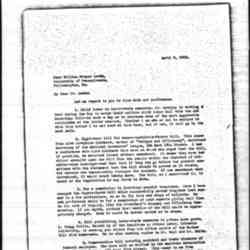 An outline of provisions for model labor legislation. 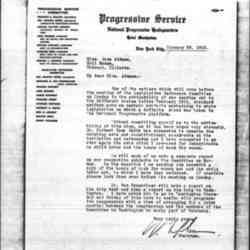 Lewis writes Addams about the agenda of the upcoming meeting of the Legislative Reference Committee of the Progressive National Service. 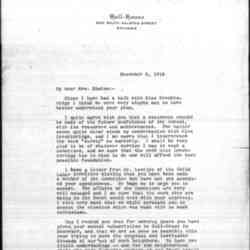 Davies explains his attitudes about child labor and the misunderstandings about them. 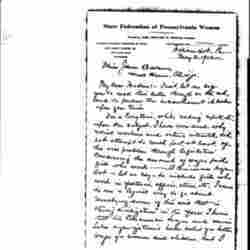 Matheny informs Addams about the Progressive legislation agenda and suffrage in West Virginia and asks her to be a part of it all. 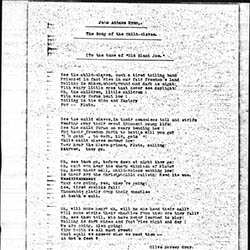 Lyrics and music to "The Jane Addams Hymn," also entitled "The Song of the Child-Slaves." 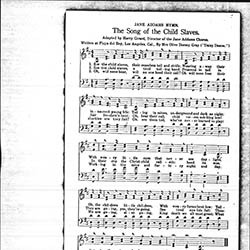 The song was performed by the Jane Addams Chorus. 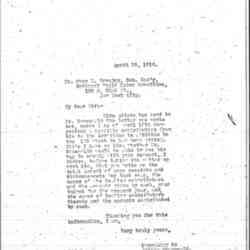 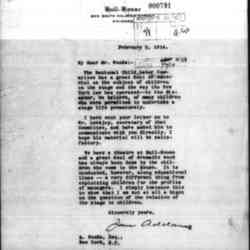 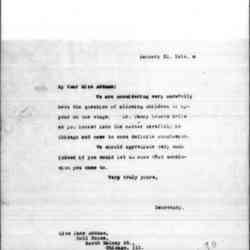 Staner writes to Addams about the ideals of the Socialist Party. 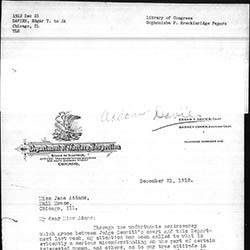 Witt writes Addams about his financial troubles and his distrust of Theodore Roosevelt. 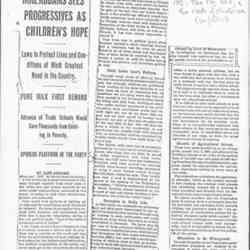 A description of a Catholic sweatshop in Cincinnati that supposedly drugs young women and an attack on William Howard Taft as being pro-Catholic. 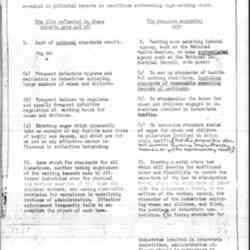 An outline listing the Committee on Industrial Relations' steps to creating a safe and healthy workplace. 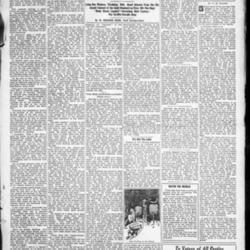 Lose writes Addams with ideas about how the minimum wage and moral teaching can save women from a life of prostitution. 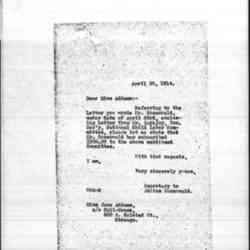 Addams thanks Mackay for her previous letter and reports that she has forwarded it on to the Secretary of the Illinois Child Labor Committee. 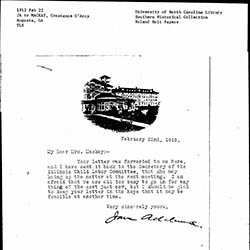 Lovejoy sends Addams data regarding child labor in theaters. 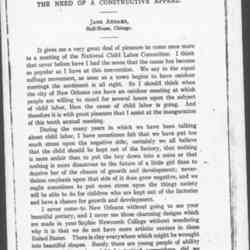 Addams asks for Taft's support on a bill to establish a Child Labor Bureau.